In Grimoire literature, the planetary hours are sometimes referred to as “ascendants.” Reproduced by permission of Fortean Picture Library. The ascendant, also called the rising sign, is the sign of the zodiac (or, more technically, the specific degree of the zodiac) that was on the eastern horizon at the moment for which a horoscope was cast (calculated and drawn). On a zodiacal wheel, the ascendant is the sign at the nine o’clock position. In a natal chart, the ascendant indicates a significant influence on the personality; only the Sun and Moon exert stronger influences. These three signs—the ascendant, the sun sign, and the moon sign—are considered together when someone with a knowledge of astrology beyond sun signs briefly describes her or his astrological makeup (e.g., “I’m a Libra with Moon in Cancer and Leo rising”). The astrologically informed listener then knows that the speaker, while primarily a Libra, is also sensitive and moody like a Cancer and will also come across as a Leo in certain settings. When either the Moon or the ascendant is in the same sign as the Sun, the person is said to be a double sign. If in the foregoing example, for instance, the native had been born when the Moon was in Libra instead of Cancer, the person would be referred to as a double Libra. Furthermore, continuing the same example, if the Moon was in Libra and Libra was also on the eastern horizon at the birth moment, the native would be termed a triple Libra. People who are a double or triple sign usually embody purer characteristics of their sign than other individuals. No planet is included in these specialized rubrics. In other words, if, continuing with the same example, Mercury or Venus (or any other planet for that matter) was in Libra at the moment of birth, but neither the Moon nor the ascendant was in Libra, the native would not qualify as a double or triple Libra. Although the ascendant is important, in Western astrology it is generally regarded as exerting a more superficial influence than either the Sun or the Moon; it is usually regarded as influencing the native’s appearance and certain outward traits more than the depth of her or his personality. Some astrologers, however, view the ascendant as indicating traits at least as deep as the sun sign, if not deeper. (In Vedic astrology, the ascendant or lagna is regarded as the most influential sign.) One way of resolving this disagreement is to take a clue from esoteric astrology (spiritual astrology or the astrology of the soul). In some systems of esoteric astrology, the ascendant is said to embody positive traits that the native is supposed to be “growing toward.” If one was born with Virgo on the ascendant, for example, then the native would need to learn to become more organized or more attentive to details. If this individual is indeed learning Virgo lessons, then the person’s Virgo traits will have acquired “depth”; if, on the other hand, the person is not involved in the process of personal or spiritual growth, then these same traits may exert only a superficial influence on the personality. Acquaintance with one or the other of these two types of individuals (growing or nongrowing) may explain the diverging views of astrologers on the significance of the ascendant. Whatever one’s view of the greater or lesser “depth” of the ascendant, there is general agreement that the ascendant is a peculiarly sensitive point in the horoscope. In most systems of house division, the first house begins at the ascendant, and any planet in close proximity to this point—especially if it is located in the first (rather than in the twelfth) house—exerts a strong influence over the whole personality. Thus, for example, a person whose Moon is in close conjunction with the ascendant will be moody and sensitive, even if no other factor in the chart indicates this trait. The planet that rules the ascendant is also regarded as particularly strong. 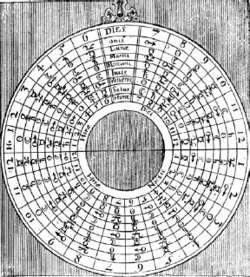 Some astrologers view this planet as the “ruler” of the entire chart. In a natal chart with Taurus rising, for instance, Venus (the ruler of Taurus) would be the chart ruler. The ruler of the ascendant is more important in horary astrology than in natal astrology. Because of the rotation of Earth, all 12 signs of the zodiac pass over the horizon during the course of any given 24-hour period. This means that the ascendant changes on the average of once every two hours. Hence, if someone’s birth time is off by two hours or more, the person will be assigned an incorrect ascendant—one of the many reasons why an accurate birth time is important. Using the ascendant as an indicator, astrologers can obtain a general idea of why a client is seeking a reading. If someone calls and makes an appointment when Libra is rising, for instance, the querent is interested in finding out about her or his marriage or some similar close personal relationship. If, on the other hand, Capricorn is rising, the querent is more interested in business and finance. McEvers, Joan, ed. Spiritual, Metaphysical & New Trends in Modern Astrology. Saint Paul, MN: Llewellyn Publications, 1988. A structural feature, often ornamental, enclosing the sides and top of a doorway, window, fireplace, or similar opening. The top piece or lintel is called the transverse and the side pieces or jambs the ascendants. Ventimilla, de Ascendant Copper: mejor que el petroleo. President and CFO of Ascendant, Mark Heil, said "With our healthy operating cash flow and strong balance sheet, we are well positioned to continue our strategy of growth through the integration of other community pharmacies that will extend our portfolio and help drive our financial results. New Job: MelodyDX is the first product of Ascendant Diagnostics LLC, a startup company in Fayetteville. Venture capital investment in technology companies reached a ten-year high of Au596 million in the first six months of 2012 according to a recent report by corporate finance firm Ascendant which has been widely reported. Ascendant was introduced into the JCB Triumph Hurdle market at 33-1 by William Hill. Your Taurus ascendant will help you to achieve good inner balance. Psychic Sandra: What does my sign mean? The twisted minds behind Yoshimi Battles the Pink Robots appear at the Academy in Birmingham with their star very much in the ascendant. On the ascendant, a group of artists closely linked by medium, style, and subject, as well as by the institutions where they study and exhibit, can quickly gain an aesthetic cohesiveness harder for mavericks to establish. Conservative ideas appear to be ascendant, the editors pointed out, but the party that represents them is getting battered. 1 September 2015 - US-based investment firm Ascendant Solutions, Inc.
Second after nearly 300 days off the track, Ascendant also met with a slightly troubled passage so his performance was probably a little better than it actually looked.